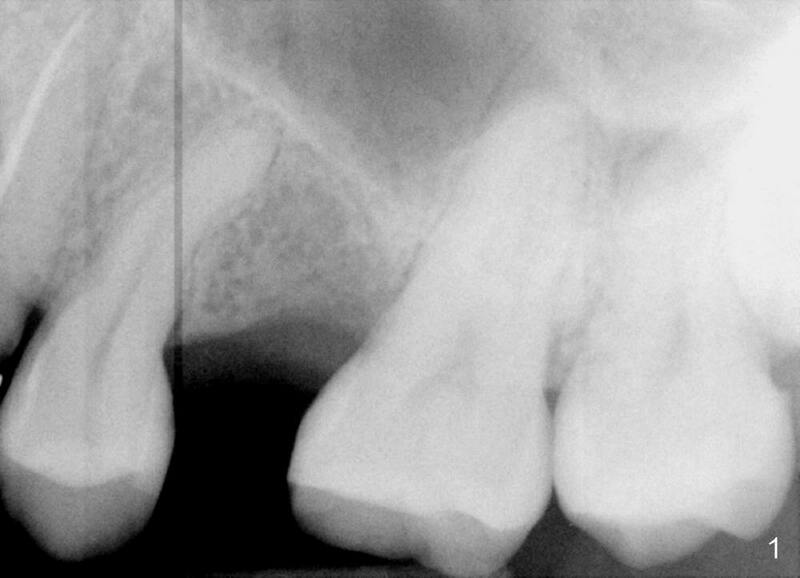 PA in Fig.1 is taken 8 months after exfoliation of the previous implant. It appears that the bone heals. One-piece implant (3x11 mm) is to be placed following tissue punch (Fig.2 green). If insertion torque is high, an immediate provisional will be fabricated (Fig.3 red). Once the implant osteointegrates, a rubber separator will be used repeatedly to move the 1st premolar mesially (arrow). 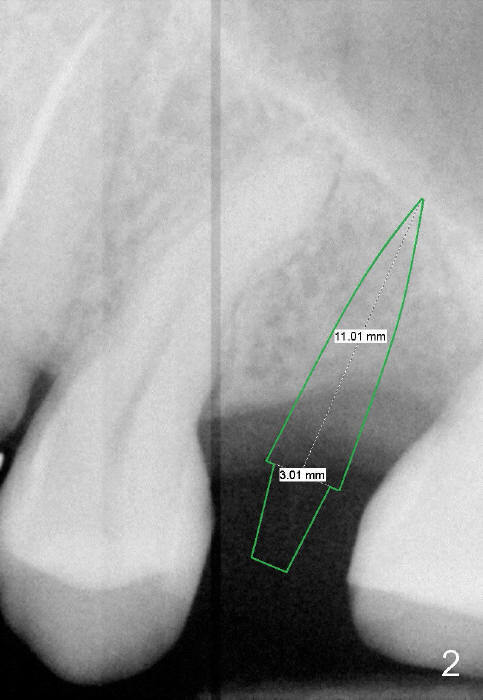 The 2nd option is to place 3.5 or 4x11 mm 2 piece implant. Try not to perforate the sinus floor initially, which causes infection, leading to implant failure. After 3 or 3.5 mm tissue punch (from DIO 1 piece implant kit), use 1.6 mm pilot drill, followed by 2.6 mm bone expander at the depth of 9 mm. Take PA after each step to confirm the depth. Use the implant to lift the sinus floor. If the latter fails, use 2.5 mm Bicon osteotome to do sinus lift with Osteogen, followed by implant placement. What is the intraop decision?